Comprehensive review of Vega Clean Protein. See what real experts and actual users have to say about this protein powder. Vega Clean Protein is one of the better “vegan” protein powders we’ve tried. It offers a strong and beneficial amino acid profile. This protein powder has 25 grams per serving, which is a great amount for those looking to build, maintain, and repair lean muscle. The protein is from a multisource blend of premium pea protein, hemp protein, pumpkin seed protein, and alfalfa protein. By using multiple sources of plant-based proteins, it gives a comparable amino acid profile to whey. It’s also easy to digest and absorb within the body. It has 4 grams of BCAAs per serving, along with 4 grams of the amino acid glutamine. BCAAs and glutamine are great inclusions to help build, repair, and prevent muscle loss after working out. The fat and carb content is really low, which makes it a great option for building lean muscle. It’s also very allergy friendly and of course, verified vegan. This protein powder is gluten free, dairy free, and soy free. It’s also free of any unnecessary junk such as artificial colors, flavors, or sweeteners. The taste and consistency are a little gritty, but it’s nothing crazy. So overall, we gave Vega Clean Protein 4.5 out of 5 stars, which makes it an above average protein powder. Vega Clean Protein mixes relatively easily. Skip the spoon method and go straight for a blender of shaker. With a shaker it takes just a few seconds to get a nice consistency. However, this protein powder is definitely gritty (as a lot of plant-based proteins can be). It also requires a bit more liquid than most other protein powders. It says to use 1.5 cups (12 oz) of liquid per one scoop of powder. We tried Vega Clean Protein in the Vanilla flavor. It has a subtle sweetness to it. If you’ve ever tried plant-based protein powders, they definitely have a distinct taste that’s different than traditional protein powders like whey. It’s a bit gritty in texture when you just use water. It also has a slight nutty taste to it. All in all, the taste is decent and when you mix it with a non-dairy beverage it definitely boosts the taste and texture. As for the macros, each serving contains 25 grams of protein, 2 grams of fat, and 3 grams of carbs. This protein amount is great for those wanting to build, maintain, and repair lean muscle mass. It also has very few grams of carbs and fat, which is something we definitely like to see. Overall, this is a great macro combination for those looking to gain some lean muscle. The protein sources in Vega Clean Protein are pea protein, hemp protein, pumpkin seed protein, and alfalfa protein. 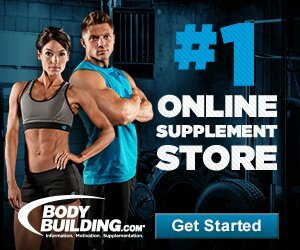 Vegan protein powders can get a bad rap in the protein world because they aren’t complete proteins like animal based protein powders such as whey. Nevertheless, plant-based proteins are very useful and effective when trying to reach your specific goals. This is especially true when companies use a blend of plant-based protein. Vega uses a complete multisource blend of premium plant-based protein, which ends up being a very comparable amino acid profile to whey. This protein powder is incredibly allergy friendly and obviously verified vegan. It’s FREE of gluten, dairy, and soy. It’s also Non-GMO verified and made without any artificial flavors, colors, or sweeteners. Clean protein contains 4 grams of branched chain amino acids (BCAAs), which may help build and repair muscles after working out. It also has 4g of glutamine, which is an amino acid that may help prevent muscle breakdown and boost protein metabolism. As a small perk, there’s 1 gram of fiber included. Stevia extract is the sweetening agent in this protein powder. I was super happy because I didn’t notice any negative side effects when taking Vega Clean Protein. Vega Clean Protein is a great vegan option especially if you’re allergic or sensitive to gluten, soy, or dairy. Also, plant based proteins are generally very easily digested and absorbed in the body. This means less chances of digestive upset or potential side effects. After taking this protein powder for a while, we’d say it’s best used for those looking to build, maintain, and repair lean muscle. It has 25 grams of protein per serving, which is a great amount to help build muscle and up your total daily protein intake. The directions say to take 1 serving 45-90 minutes after working out to reap the most benefits. 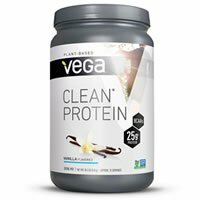 Vega Clean Protein costs $27.99 for a 1lb 2oz container. That works out to about 7.46 cents per gram of protein. That’s about an average price for a protein powder. You definitely get your money’s worth. Vega offers a money back guarantee for their products and merchandise. They have a 30-day, 100% satisfaction/money back guarantee. I was really excited to see some sort of guarantee offered by Vega. Just make sure that you fill out the online form and that the product isn’t expired and then you’ll get your money back. To buy Vega Clean Protein, click here.